The building process is complicated, whether you’re dealing with major residential or commercial construction. Aside from being lengthy and expensive, you’re expected to make a lot of important design decisions. More importantly, you have to follow stringent building codes. This is too much work, especially for a first-time homeowner or renovator. This is when you should think about hiring a local architect for the job. An architect is a trained and registered design professional. They have a degree in architecture and worked for firms to gain practical experience before they took and passed licensure examinations. They have a broad job in the office and in the field. You can count on them to design, overall plan, and management of your construction project. They also accept smaller services such as documentation, contract administration, building team organisation and management, product research, brief development, specification writing, energy-efficiency and conservation reports, restoration projects, and post-occupancy evaluations. With the diversity of tasks, an architect can charge based on your needs as a client. The most common is the hourly rate. Here at Superdraft, we offer two options for you. You may request a consultation with our designer before we present a quote. You can also send us your project details so we can provide a quote for your project. Then, we’ll assign the best architect for your project. Ready to discuss your project? Chat with us! 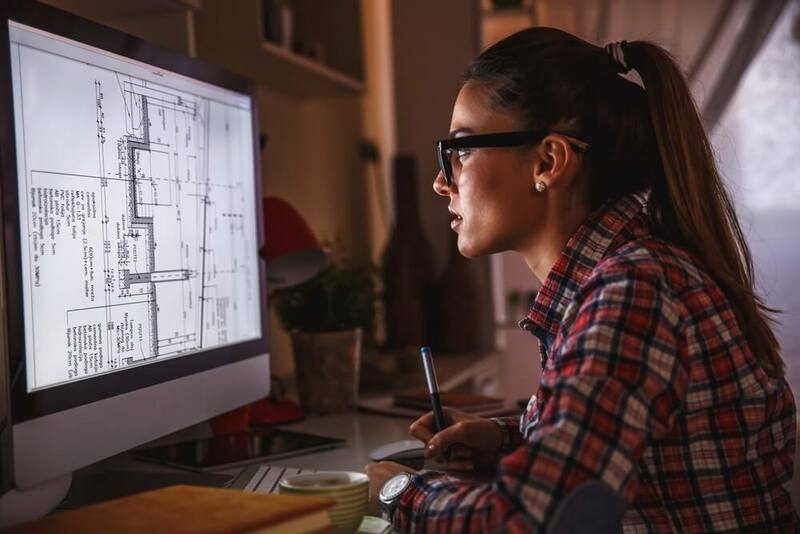 When you get an architect in your design team, you’re sure to hire someone who is concerned with the design and technical aspect of your project. They can help you make practical decisions as well. Normally, you will start with the discussion of the project details. You’ll discuss your needs and preferences and try to work all of these with your budget. They’ll come up with flexible design solutions when needed and suggest a better plan if they foresee major roadblocks ahead of the initial one. Your architect will paint a clear picture for you even before they start drawing them on paper or computer. That way, you’ll understand the direction and final look of the project before you go on to the construction. I assure you that these design pros will want the best for you, but they won’t insist on what you like. Their name and work ethic as an architect are on the line in every project they handle. Both the good and bad will reflect on their name. Of course, they’ll want you to remember them for the great things they’ve done.